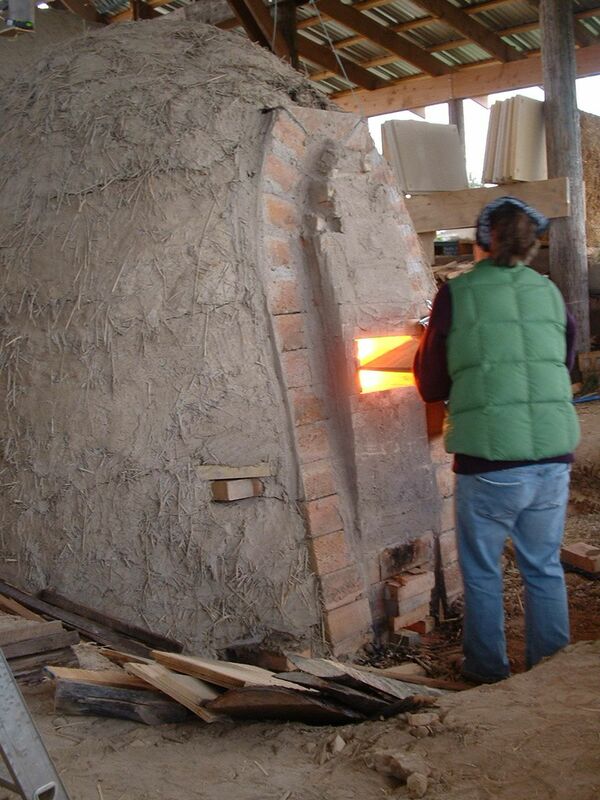 Our three-chambered wood-fired kiln is at the heart of Windy Ridge Pottery. After firing many kilns, Joe thoughtfully designed ours to create both unglazed and glazed pots. 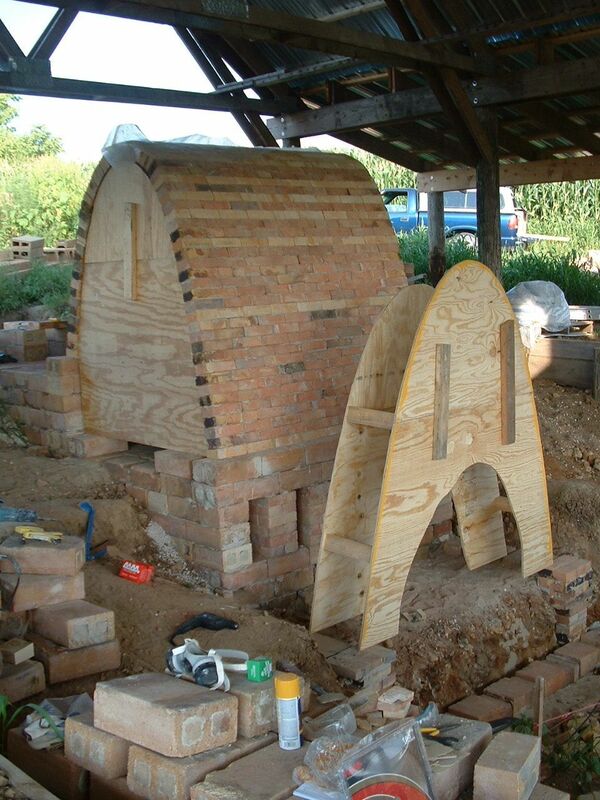 He and Christy built the Windy Ridge Kiln in 2008 using a variety of bricks reclaimed from defunct pipe factories in Iowa and North Carolina. Although we no longer maintain our blog, it's a great place to visit if you want to see how we built our kiln. The kiln design is loosely based on traditional Japanese Bizen noborigamas. The first igloo-shaped chamber is used primarily for unglazed pots, the second chamber is filled with slipped, glazed, and decorated work, and the third chamber has turned into an earthenware chamber for Christy's low-fired work. 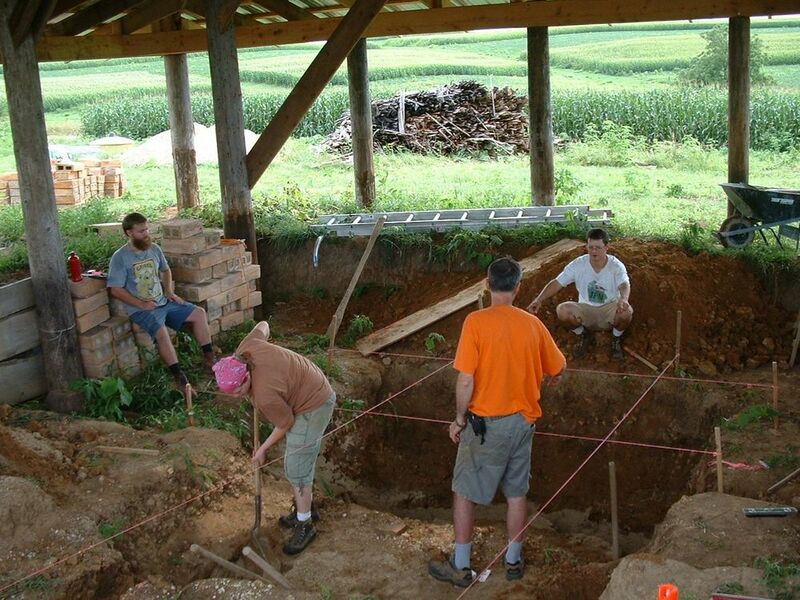 The exterior of the kiln is coated with clay, sand, and straw for insulation. In order to get the rich surfaces we want for our pots, the kiln is fired for three days using over four cords of wood. 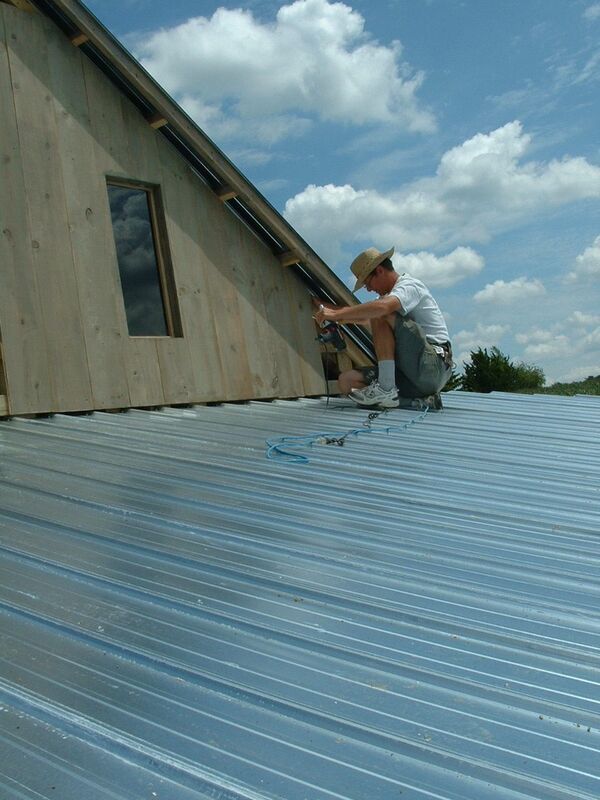 We use a mix of whatever wood is available to be salvaged; usually mostly hardwoods and some pine. The firing starts as a tiny "campfire" in the first chamber, and, with the help of friends and fellow potters stoking, slowly and steadily grows over three days to a top temperature of 2300 degrees. After top temperature has been reached in all three chambers, the kiln cools for two days before we unload the freshly fired pots. If you would like to see our kiln being fired, please sign up for our mailing list or follow us on Facebook for announcements of our firings. We always host a community party the second night of the firing with brats, beers, and lots of good friends.